Two towns were left in shock this week following the death of 28-year-old Rugby man Robert Bavington after he was assaulted in Leamington at the weekend. Floral tributes, with a picture of Robert as the centrepiece, have been left on railings in Russell Street where the attack took place. Another said: “Dear Rob, you were a great friend and all-round amazing person. “I count myself truly honoured to have known you. “You will be hugely missed by me and everyone who knows you. Having announced Robert’s death on Facebook, his family later said they were overwhelmed by the “wonderful messages and beautiful things” said about him. Robert was assaulted at about 1.20am on Sunday morning (April 10). An altercation is thought to have broken out outside Moo Bar shortly before. Robert sustained severe head injuries and was taken by ambulance to hospital where he died. Two men from Birmingham were initially arrested on suspicion of murder and Warwickshire Police made an appeal for witnesses to the incident. One of the men was later released without charge. 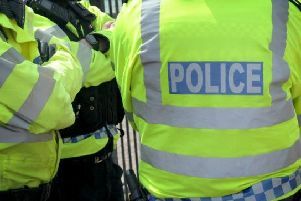 On Tuesday the force announced that Vijay Masih, 30, of Brook Road, Willenhall, had been charged with manslaughter and he appeared before magistrates in Leamington the next day. He has now been released on bail and is due to appear before Warwick Crown Court on Friday May 13. Police would still like to speak to anyone who may have witnessed the incident and has not yet come forward. Call police on 101, quoting incident number 26 of 10 April 2016.